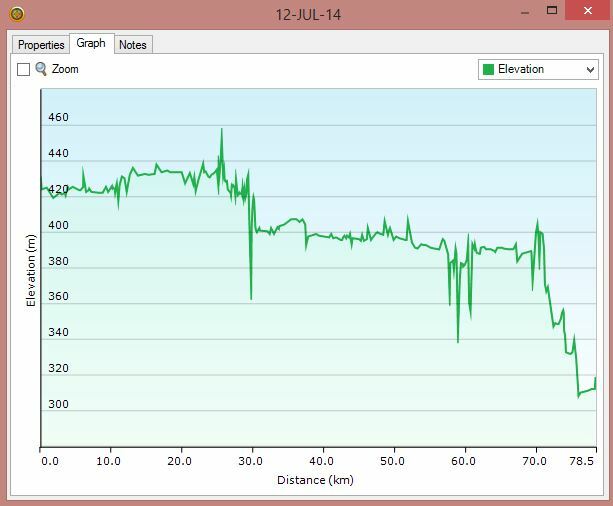 The origins of The Brent Run are somewhat of a mystery that dates back roughly 80 years. 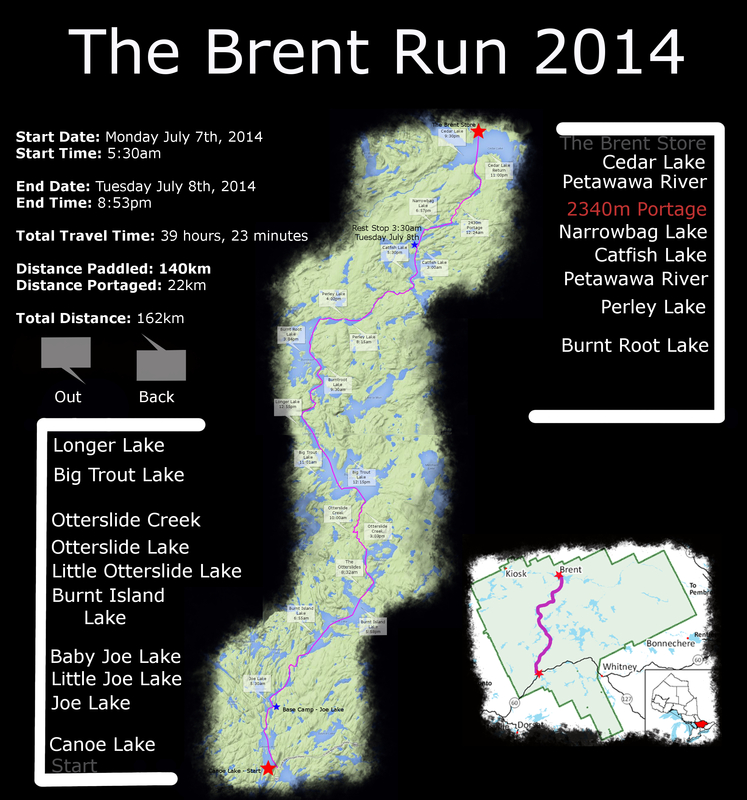 The first Official Brent Run was completed by Bill Stoqua and Bill Little after rumours circulated around Algonquin Park’s Canoe Lake that two of the Stringer Brothers had completed a trip from Canoe Lake to the small town of Brent (a 162km distance, 22km of which are portages) in 24 hours. To this day there is no consensus on which members of the Stringer family completed this trip (there were 16 brothers and sisters in the family) or any proof to dispel the rumours as facts. Stoqua and Little completed their 162km Brent Run in 32 hours and in doing so set the benchmark for generations to come. This historic first Official Brent Run was completed in the 1934. Later, in 1948, provoked by dares from Stoqua and Little, brothers Hank and Carl Laurier set out on their own Brent Run adventure. Paddling Carl’s chestnut canoe and fueled by a couple of peanut butter sandwiches and cans of juice, the Laurier brothers made a phone call from Brent to Camp Ahmek (their starting location) 13 hours later. Navigating without the aid of a map and hampered by some unfavourable winds, Hank and Carl returned to Camp Ahmek 27 hours after setting out and established a record that would go unbroken for 42 years. In the summer of 1990 two councilors from Camp Ahmek, Chuck Beamish and Bob Anglin set out to challenge the Laurier brother’s record. Both Beamish and Anglin were strong paddlers and very familiar with the lakes and portages between Canoe Lake and the town of Brent. 23 hours later the 42 year old record of the Laurier brothers fell and Beamish and Anglin paddled their way to a record that still stands to this day. 1) Leave directly from Canoe Lake (although there are numerous starting points on Canoe Lake, it is generally accepted to leave from Camp Ahmek). 2) The route detailed below must be followed to reach Brent. 3) In days of old, a telephone call was to be made from Brent, back to The Portage Store or Camp Ahmek on Canoe Lake to confirm that the runners had arrived at the halfway mark. It is widely acceptable these days to simply take a picture at the Brent Store. 4) The Run must be completed in a cedar-strip canoe. 5) Times are measured and rounded to the nearest hour (27hours and 29 minutes becomes 27 hours and 27 hours and 31 minutes becomes 28 hours). The town of Brent lies on the North side of Cedar Lake and marks the half way / turnaround point of the trip. The Brent Store (and home of an Algonquin Outfitters post) will allow Brent Runners to refuel on supplies, assuming you make it there during their operating hours. The same route is followed to return to Canoe Lake.